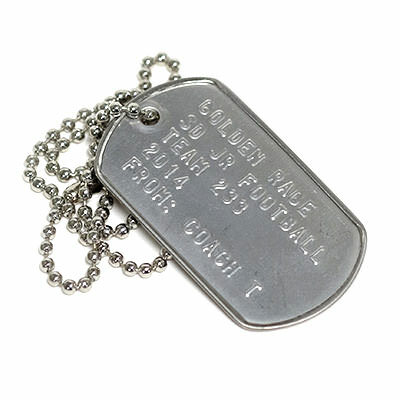 Military Dog Tags | TJM Promos, Inc.
TJM Promos has everything you need for classic military dog tags. 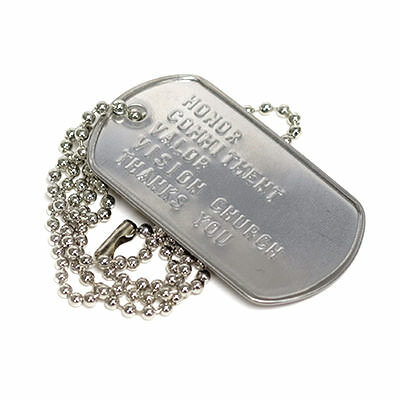 Wtih your choice of either a steel or brass plate, and the same format as the tags worn by the men and women of the U.S. military, these dog tags offer timeless style. You’re limited to text, 15 characters per line, with a maximum of 5 lines. It’s a minimalist style that has long represented the dedication of American military members. You can add rubber silencers to the tags if you want an extra burst of color and quieter tags. 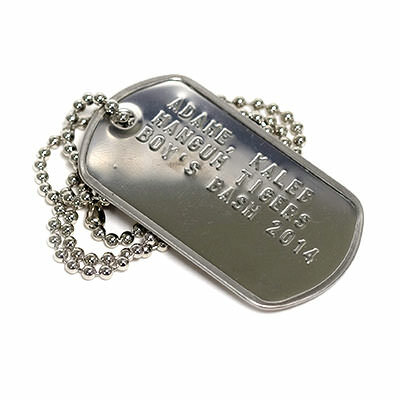 We treat every order with the utmost care and attention to detail, so you can be sure your military dog tags will be the best you can get this side of Uncle Sam. 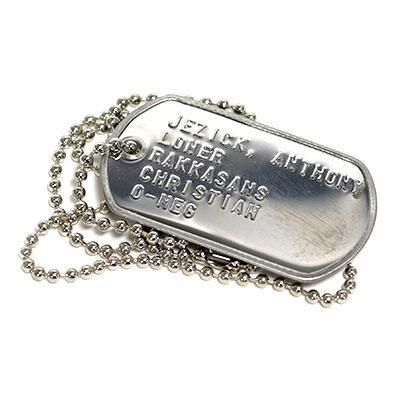 Depend on TJM Promos for your military dog tags, and you won’t be disappointed! If you want the classic milltary dog tag look, you’ve come to the right place. 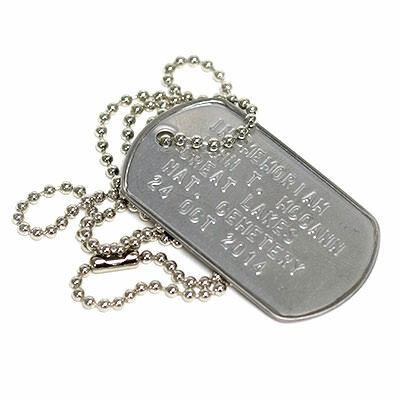 Our timeless military style tags are identical to those worn by U.S. Armed Forces members. Available in your choice of brass or steel, the design is restricted to the standard military style — up to 5 lines, with up to 15 characters per line. 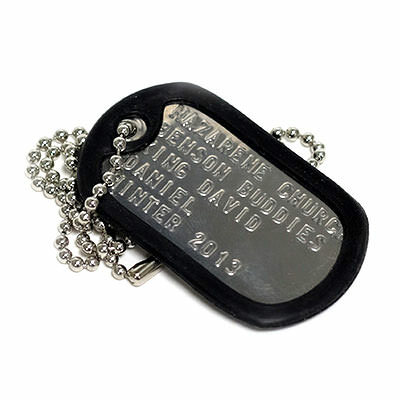 Available with either flat or rolled edge (NOTE: Unless you specify otherwise, dog tags will be made with a flat edge). Stick with the classic look or add an optional rubber silencer in a complementary color to give your dog tags more fashion appeal. It’s up to you!